I've been working on a bunch of painting commissions this week, so not much time to post. This is a final watercolor that started out as this study. 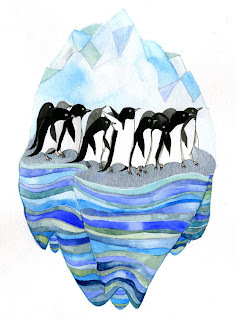 It's of a group of Adélie penguins on an iceberg. All sorts of exciting projects coming up that I will write about soon. More paintings to come!